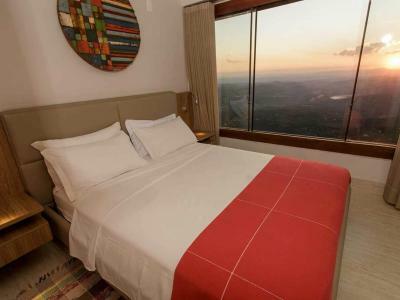 Lock in a great price for Pousada Estalagem do Mirante – rated 8.9 by recent guests! 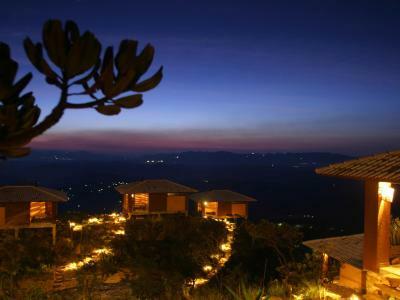 The view is just extraordinary, surroundings are just breathtaking. Staff is absolutely lovey. The view is amazing and the chales are very nice. The cook is good. Fomos comemorar aniversário de casamento e a experiência foi marcante. Excelente local e vista espetacular, quarto e banheira com vista para Serra, show a parte. A vista da natureza é maravilhosa!!! A parte onde se localiza a cachoeira é linda e aconchegante. Os funcionários foram bem bacanas. Amei cada detalhe, incluindo as artes em madeira. O café da manhã é muito simples, com pouquíssima opções e bem abaixo da nossa expectativa em comparação com o valor da diária. O quarto é lindo, muito confortável e aconchegante! A comida do restaurante no jantar ficou muito a desejar. Não gostamos. Vista incrível. Atendimento excelente. Tudo perfeito. Gostei de absolutamente tudo. Recepção, Chale, Caxu, Restaurante, Funcionários. O local é lindo. A paisagem é maravilhosa. O restaurante eu gostei. A comida é boa e o preço não é exorbitante. 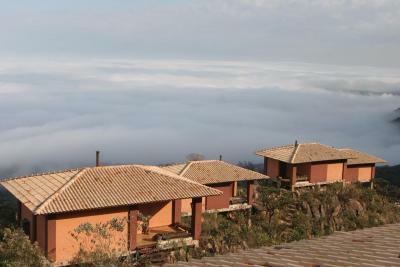 Offering free WiFi, Pousada Estalagem do Mirante is located in Brumadinho. 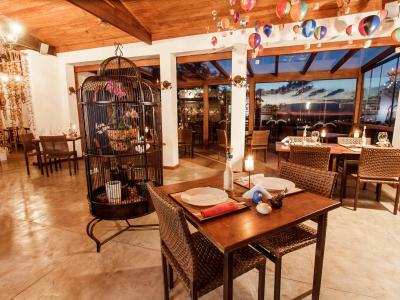 Featuring a 24-hour front desk, this property also has a restaurant and an outdoor pool. Rooms have a TV with cable channels. All rooms at the hotel come with a seating area. 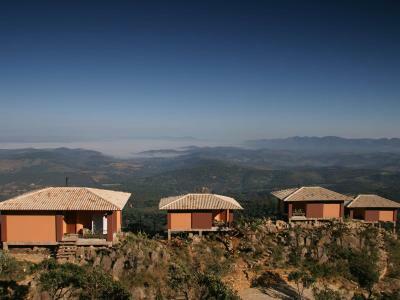 With a private bathroom, some rooms at Pousada Estalagem do Mirante also feature a mountain view. The rooms at the accommodation include air conditioning and a desk. 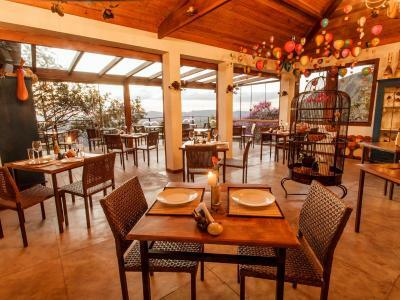 Buffet and gluten-free breakfast options are available every morning at Pousada Estalagem do Mirante. 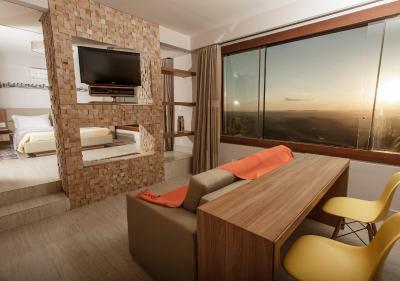 Belo Horizonte is 24 miles from the hotel, while Macacos is 18 miles from the property. 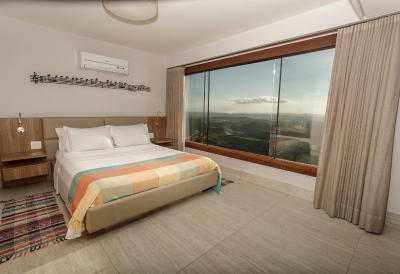 Belo Horizonte/Pampulha – Carlos Drummond de Andrade Airport is 29 miles away. 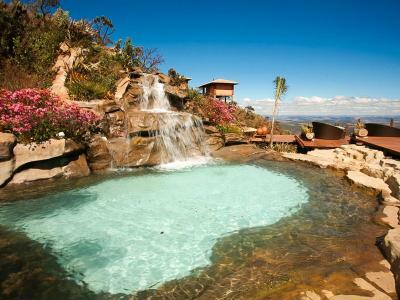 This property also has one of the top-rated locations in Brumadinho! Guests are happier about it compared to other properties in the area. When would you like to stay at Pousada Estalagem do Mirante? This suite features a balcony, fireplace and spa bath. 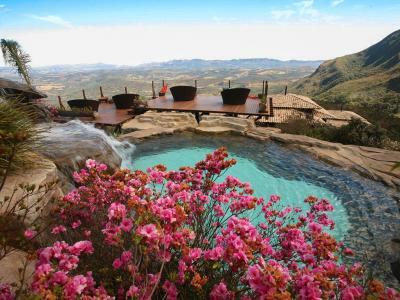 This suite has a balcony, bathrobe and private entrance. 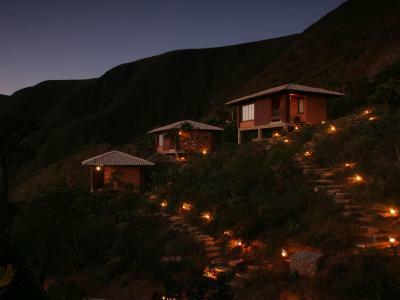 House Rules Pousada Estalagem do Mirante takes special requests – add in the next step! 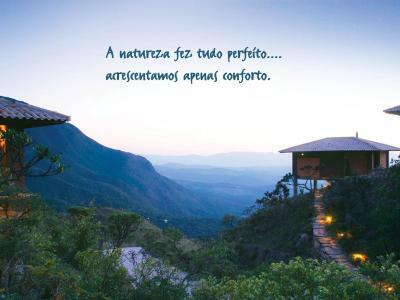 Pousada Estalagem do Mirante accepts these cards and reserves the right to temporarily hold an amount prior to arrival. For what is is, it's a bloddy fortune. The room was such in a poor condition, and i had the Master Suite. Outdated desperatedly needing a refurbshiment. The bath had pieces falling out and took (i'm not joking) about 45 min to fill up (if not more). Yes, view was awesome but there are a Loccitane spa 2 hours away that is cheaper and much nicer facilities. I was looking foward to the restaurant and maybe i had my hopes up but it was disappointing. Breakfast was nothing special really. Coffee was average (and it is a region famous for its coffee). Dinner was ok but again, nothing spetactular. Maybe i was unlucky? If you want to appreciate the view, you can spend the day on the free fly mountain, just before and save the cash. It was very expensive for what it was. Overall disappointing apart from the view. The service doesn't match the price. The reception staff was neither particularly friendly nor helpful (we were for example looking for a hiking trail and the answer was that they did not no any). There was also no introduction how the breakfast system works. The pool area is nice, but very small (not possible to swim) and the acoustic in the main breakfast - dinning room is not pleasant and there is rarely background music on, which doesn't help the flair. It took us 80 minutes to reach Inhotim and the road is not the best.